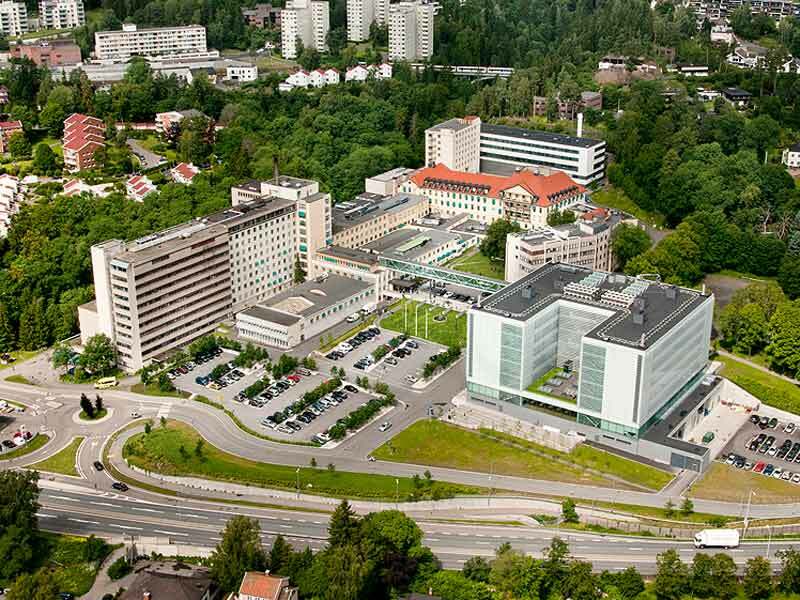 The Norwegian Radium Hospital is located on the west side of Oslo, a few kilometers from the city centre. To get to the city centre of Oslo from the Gardermoen airport, take the Airport Express Train ('flytoget') (takes about 20 minutes) to the Oslo Central Station ('Oslo S') or the National Theatre ('Nationalteateret'). You may check the timetables for various trams and buses in Oslo here. Of course, you can also take a taxi from the Central Station or the National Theatre directly to the Radium Hospital (takes about 10 minutes). You can reach your contact person from the reception at the main entrance, using the internal telephone system. 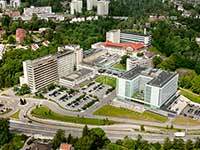 We have appointments with two Thon Hotels, "Europa" and "Gyldenløve". The Hotel Europa (see map) is located a 5-minutes walk from the National Theatre Station, whereas the Hotel Gyldenløve (see map) is located a 10-minutes walk from the Majorstua Station, which is the next stop after the National Theatre with any of the subway lines. You can find general info about Oslo, including maps and hotel info, on the virtualOslo and visitOslo sites.